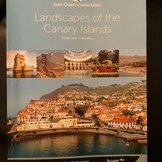 The cruise was disappointing in that all but two of the port stops where by Tender and as I need to use a walking stick and have difficulty going down steps and have a problem with stability getting to and from the Tender. There was also a considerable number of tour cancellations apparently due to a lack of numbers. On one of the port calls (Invergordon) the tour was in two parts which did not allow sufficient time a either to enjoy the experience. The last port of call was cancelled due to the weather which prevented the use of the Tender. Apart from the above the size of the boat (880 pax) which was only partially utilised (540 pax) and enabled one to establish many friendships. 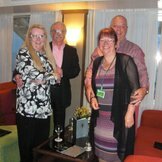 The crew was also excellent and are a credit to Fred Olsen Cruises. Traditional small ship with dated decor but homely and staff superb, been on this ship twice now and must admit I love the ship and would recommend her to anyone.